Learn about the service of Vietnam veterans and their counterparts from the American Red Cross Overseas Association, thousands of whom served as “Donut Dolly” volunteers in Vietnam during the 1960s and 70s. 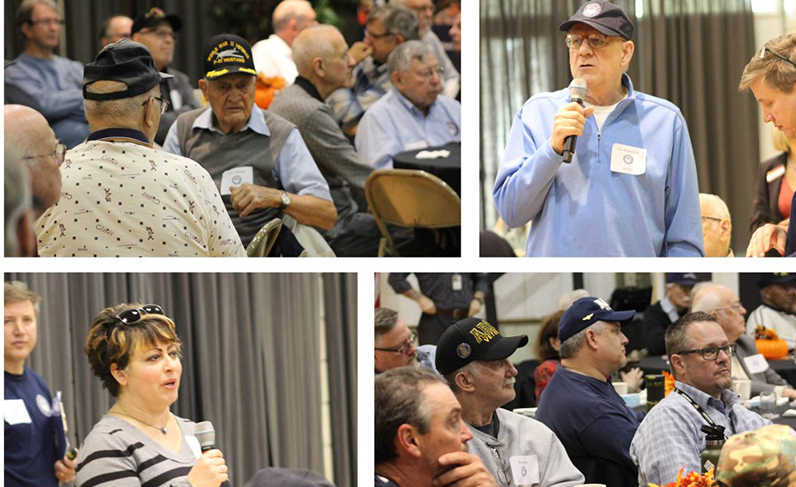 Bring your own bagged lunch, pull up a chair, and listen as they share stories of their service during ARCOA’s annual convention in Pittsburgh. Admission to this lunchtime program is free and open to the public. Lunch will not be provided, but attendees are welcome to bring their own lunches into the History Center or purchase lunch in the History Center’s café. Attendees receive complimentary admission to the History Center’s exhibitions for the afternoon. Donut Dolly Stories of Service is presented in partnership with Veterans Breakfast Club and the American Red Cross Overseas Association. The American Red Cross Overseas Association is an independent national organization with a fellowship of men and women who have, across many decades and countless miles, experienced the rewards and hardships of serving abroad to assist U. S. military personnel, help disaster sufferers, lend knowledge, and support developing Red Cross and Red Crescent societies as they seek to broaden their capabilities.